Help for the Technology Lab Instructor! I often looked in vain for good activities to use while teaching technology to K - 6th grade students. This site exists to offer help to others who might find themselves in the same circumstance! This is a work in progress. Keep checking back for more activities! I haven't neglected teachers on this site! These products from workshops I've facilitated will help you hone your technology skills. Each contains many resources that will get you get started. Our teachers were asking to see question samples for the SBA to know what to offer kids in their classrooms. We've provided a listing of every CCSS standard and sample question items where ever we could find them. In this project we are going to create an INTERACTIVE biome using Scratch! Use this web page to find videos, pictures, and information for each of your biome sprites. The first link is probably the best, so start with it and use the rest as needed! 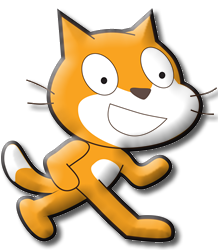 You'll need to learn some new Scratch programming tips and tricks. Click here to open the Animated Biome Scratch Learning Guide! Click here to see a sample animated biome created by Mr. Biggs. Click on a class below to see our finished projects!! Your STAGE should be a picture that represents one of the six biomes. Three animal sprites from your biome. You will find the picture on the internet and create these in Scratch. Three plant sprites from your biome. You will find the picture on the internet and create these in Scratch. Each sprite should talk or think when you click on it. It should tell the user about itself. If you want to record what it says, that is even better! Do not put more than one sentence on each think or say block. The animal sprites should move on the screen. Use the Glide block to do this easily. After hundreds of hours of work, extensive testing in elementary classrooms, and several rewrites, we are pleased to offer you the use of our Lego WeDo 2.0 Mission to Mars unit. Following the storyline of a mission to the Red Planet, students are confronted by a series of problems they must solve by building and coding Lego models. Fully NGSS compatible, this is a perfect unit to use in third or fourth grade. Please take a look and try out this free resource!